Celebrating the life of Eli Frank Maness, Jr.
Be the first to share your favorite memory, photo or story of Eli. This memorial page is dedicated for family, friends and future generations to celebrate the life of their loved one. Obituary for Eli Frank Maness, Jr.
Mr. Eli Frank Maness, Jr., 80, of Oriental, NC died peacefully Sunday evening while visiting his family in Dunn, NC. He was born in Guilford County on November 29, 1937 to the late Frank and Wilsie Maness. He was preceded in death by his wife, Judy M. Maness. Frank graduated from Oak Ridge Military Academy, and then graduated from Atlantic Christian College with a Bachelor in Business Administration. He served his country in the Army National Guard from 1960 to 1966. Frank began his professional career with Carolina Tractor & Equipment Co. and worked with them for approximately twenty years before going to work with Dickerson, Inc. as their vice president of purchasing for approximately ten years. Frank’s love of the water and beach led him to purchase Honda of Myrtle Beach and was the owner and operator for seven years before retiring to his and Judy’s dream home at Beulah Point in Pamlico County on Broad Creek. Following a rich family heritage, Frank was a Mason, a member of the Scottish Rite and a member of New Bern Sudan Shriners. He was also a member of Pamlico United Methodist Church. Frank was a big NASCAR fan and his favorite driver was “The King,” Richard Petty, #43. With a love for the outdoors, Frank enjoyed watching the water, wildlife and especially the birds at his home in Pamlico. 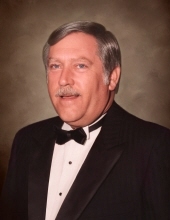 A celebration of life service will be held Friday at 11 a.m. at Skinner & Smith Funeral Home in Dunn, by Rev. Mike Roach. A private burial will be held at a later date. He is survived by a son, Eli Frank “Buddy” Maness, III, and wife Shelia of Dunn, two daughters, Elizabeth Maness Green of Murrells Inlet, SC, Michelle Maness Benish and husband John of Southbury, CT, six grandchildren, Eli Maness and wife Caitlin, David and Jacob Maness, Robert and Jeremy Green and Allison Benish. The family will receive friends Friday morning from 10 to 11 a.m. at Skinner & Smith Funeral Home. The family asks that instead of flowers that memorials be made to Shriners Hospital for Children, Attn: Office of Development 2900 N. Rocky Point Dr. Tampa, FL 33607. To send flowers or a remembrance gift to the family of Eli Frank Maness, Jr., please visit our Tribute Store. "Email Address" would like to share the life celebration of Eli Frank Maness, Jr.. Click on the "link" to go to share a favorite memory or leave a condolence message for the family.